#ThrowBackThursday. Spring 2000 to be exact. Although Helium analysers are considered standard equipment by advanced and technical divers today, they were not always the norm. In fact until the turn of the century the only way to confirm the amount of Helium in your mix was to conduct a gas spectrometer test in a lab. The game changer – a Helium analyser you could use in the field – was launched by Dive Rite at the January 2000 DEMA Show in Las Vegas. Above you will find a scan of one source of this useful news in Issue 3, Volume 2 of 990 Magazine. 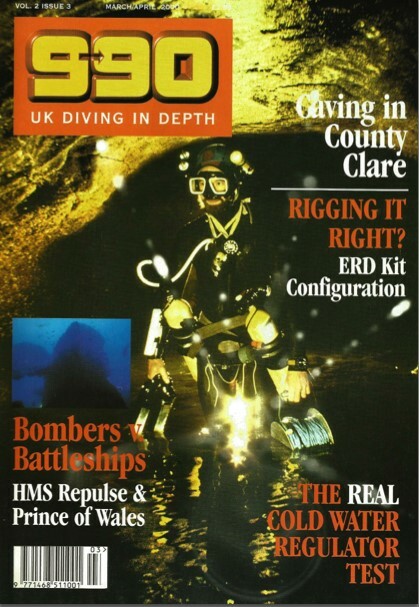 If you would like to read this edition of 990 in full, click here, and download your copy of this much missed and respected diving magazine. Next PostNext Question – What is the most essential accessory for tech divers?